Innovative countdown timer speaks in English. 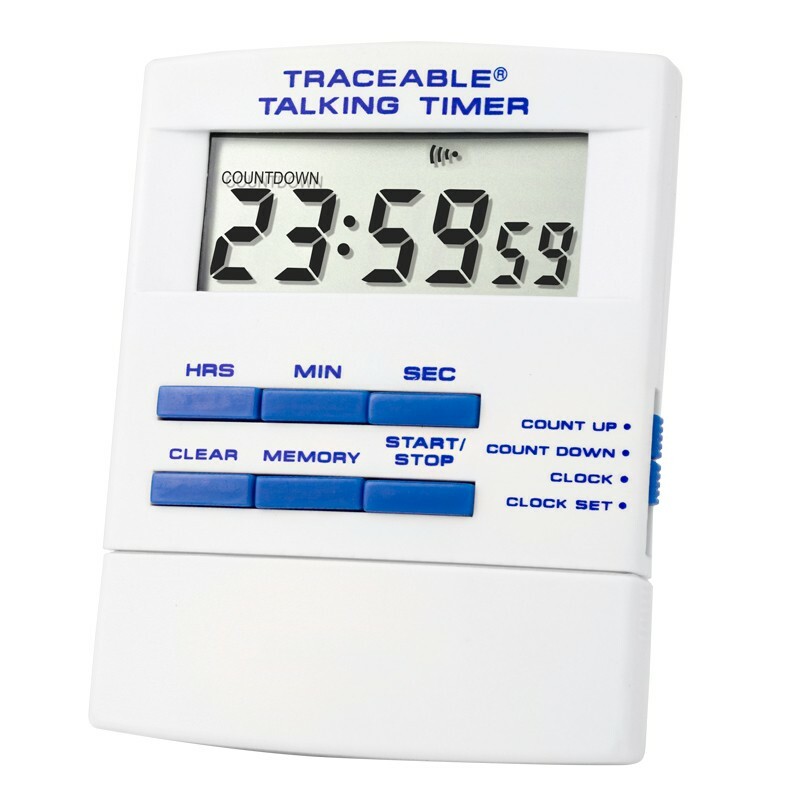 It counts down, talks, counts up, and tells time of day with Traceable® precision. During countdown, voice reporting frequency is every hour until 1 hour is reached, every 10 minutes until 10 minutes is reached, every minute until 1 minute is reached, every 10 seconds until 10 seconds remain, then every second. Also announces elapsed time since alarming. Counts both up (stopwatch) and down from 23 hours, 59 minutes, 59 seconds. Resolution is 1 second. Quartz-crystal timing accuracy is 0.01%. Unique thru-zero feature allows counting down, alarming, and counting up. A time-out mode stops the timer for off periods in both up and down timing. 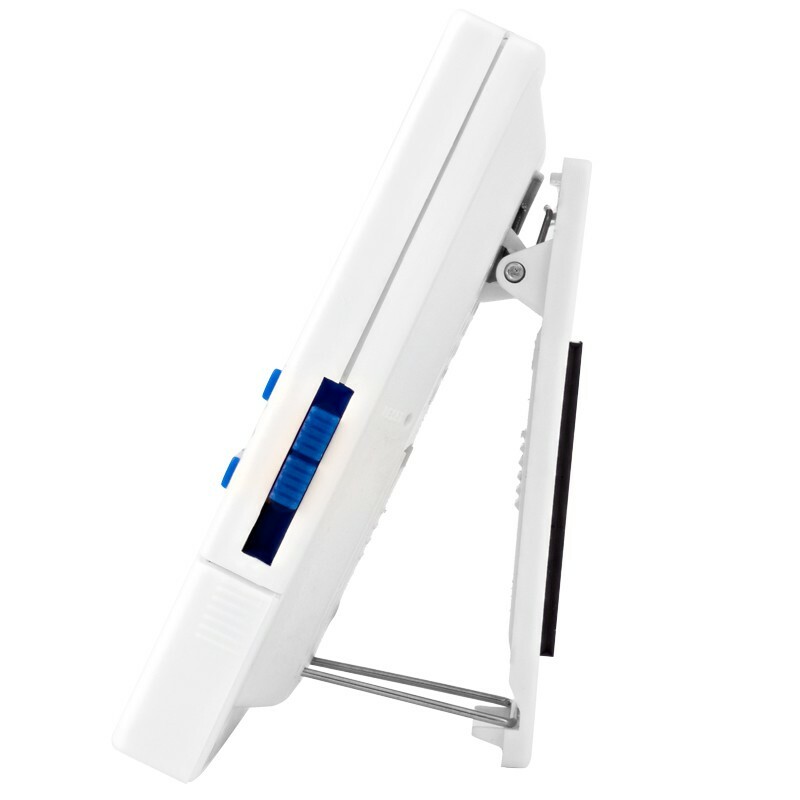 Provides repeat functions of countdown alarm timing. Set it to count down for any time. When zero is reached, the timer alarms and begins to count down again from the programmed time. Repeat cycle continues automatically until stopped. Extra-large 1/2-inch-high display and vivid LCD digits continuously show the time remaining and are readable from 10 feet. In the clock mode it announces time of day. 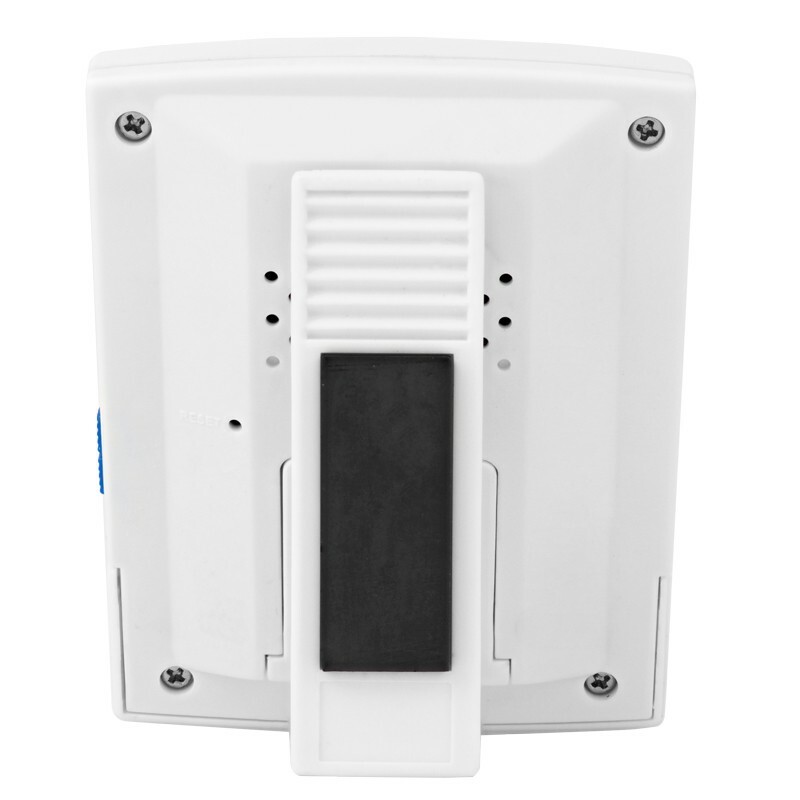 Purchase several units; each may be set to a different alarm sound. Six distinct alarm sounds indicate which test is completed. 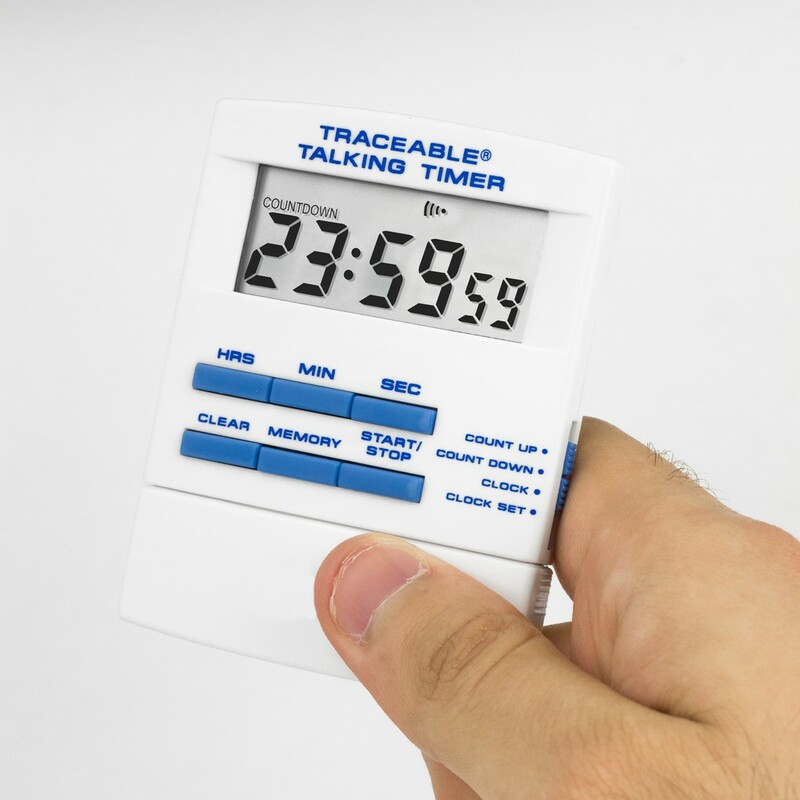 Traceable® Certificate, Magnetic back allows timer to be placed on any surface, flip-open stand, a spring fastener, opening for a lanyard, and batteries.